Gluten-free diets have been effective for many people struggling with long-term health afflictions. Many people have cured persistent acid reflux, constipation, eczema, diarrhea, migraines, mood swings, fatigue, aching joints and many more complaints by choosing to drop gluten containing foods from their diet. These are not people with celiac disease, but with a gluten intolerance that can be difficult to diagnose. Obviously, going gluten-free can be hard, in the sense that any significant change of habits can be hard. When your go to breakfast involves firing up the toaster, or pouring a bowl of cereal, or you’re used to cracking a beer when you get home, there are real adjustments to be made when you choose a lifestyle change that involves going gluten-free. There are also the changes that will have to be made in shopping habits, including reading the label of every product purchased. You’ll be surprised to find out how many places wheat and gluten hide. However, what is not always expected are the less obvious side effects of giving up gluten. Some people experience a short-term increase in symptoms immediately after stopping consumption of gluten. They may experience aches, digestive problems, mood swings and/or skin problems. It may take a few days before the stage passes. Going off gluten “cold turkey” can produce withdrawal symptoms in some people. In your body, gluten is broken down into gluteomorphin, and when that particular protein escapes the gut and makes its way to the brain, it mimics the effects of heroin or morphine. Sudden withdrawal causes similar extreme side effects. It can be hard to remember at this point that these extreme side effects are actually proof of how much gluten has been impacting your health. If you consume large amounts of bread, baked goods, and pasta as well as other gluten containing foods, it may be a good idea to cut down gradually over a couple of weeks before stopping gluten consumption completely. Note that similar results can occur from giving up dairy, so it may be best to stop one and then the other, rather than both at once, even if that is your goal. Most people who stop consuming gluten completely feel better immediately, but if you are one of the few who experiences withdrawal side effects, it’s even more important to remember that eliminating this food that is toxic to you will be worth it. Many people lose weight and experience relief from long-term medical issues. Often, it’s possible to get off certain medications once your lifestyle is completely gluten-free. Gluten likes to hide. It is part of so many products we consume, but even if you read labels in a very dedicated way, it can sneak past you. 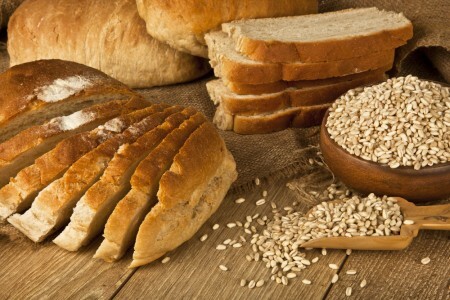 If you are sensitive to gluten, a very small amount can be detrimental. For example, gluten may be hiding in the coating of your medications or supplements, or in shampoos and body care products. Some people are so sensitive that handling pet foods containing gluten can trigger side effects. Another challenge of going gluten-free involves feelings of deprivation. Although there are many wonderful and healthy choices to make in the place of gluten containing foods, many people choose poorly. The initial opiate withdrawal effects can drive people to eat more sugar and carbohydrates to achieve the stimulation that they used to get from gluten. Even those who are not struggling with withdrawal often feel that it’s appropriate to substitute “gluten-free” bread and baked goods, and feel virtuous about doing so. The problem is that these gluten-free products are extremely high and starches and sugars, which create health issues of their own. Some people who eliminate gluten take it to an extreme and eliminate all grains. Over time, this can lead to deficiencies in B vitamins, fiber, or certain minerals such as iron. All carbohydrates are not bad of course, but it often takes the guidance of a nutrition professional to get people on track to achieving the full benefits of going gluten-free.